What's better than brightening up someone's day than with these 12 brightly colored sunflowers in a vase. This arrangement could be sent for any occasion, from a simple thank you, a get well soon, or just because its beautiful. 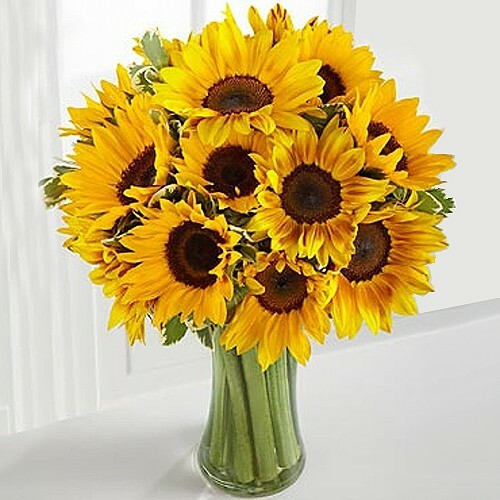 Sunflowers are an easy option when you can't decide what to send because everyone adores sunflowers.